Increase your business competitiveness by using the global Chinese market. 국제시장간 경계가 점점 더 옅어지면서 국가간 다양하고 새로운 형태의 거래가 생겨나며 이용빈도도 증가하고 있습니다. 과거에는 국가간 무역거래는 기업과 기업(B2B) 형태였지만 이제는 기업과 소비자(B2C), 소비자와 소비자(C2C)의 국제거래 형태가 계속해서 발달해 가고 있는데요~ 가장 대표적인 예가 바로 다들 알고 계시는 해외직구, 해외구매 대행인데요~ 많이들 들어보셨죠? As international market boundaries become increasingly thinner, new and varied forms of cross-border trade are occurring and the frequency of use is increasing. In the past, cross-border trade was in the form of companies and companies (B2B), but now they are in the form of companies and consumers (B2C), consumers and consumers (C2C). The most representative example is a direct buying from overseas and overseas purchase agency. Have you heard a lot about that? Consumers also want to buy a variety of products that are sold overseas to suit their preferences and at a lower cost. Especially, Koreans are using the buying agency in the countries of their preferred brands and products (Europe, America, and Japan). 그 뒤를 이어 무섭게 경제성장을 해온 중국시장에선 전세계 도매업체와 소비자들을 겨냥한 거물급 쇼핑몰 프로젝트 바로바로! "알리바바"와 "타오바오"를 앞세워 전세계인들의 주목을 받고 있습니다. 중국 상품이라면 불신을 가지고 있던 한국소비자 분들도 이제는 착한 가격에 호기심을 가지기도 하고 어느정도는 저가품질을 감안하고 저가쇼핑을 즐기시는 분들도 많이 계시죠~? The Chinese market, which has been experiencing a rapid economic growth these days, has attracted the attention of the world with its large online shopping malls "Alibaba" and "Taobao" aimed at wholesalers and consumers all over the world. Korean consumers, who have been distrustful of Chinese goods, are now curious at good prices in China online shopping mall. 그 누구보다도 중국시장의 필요성을 절감하고 있는 그룹은 바로 사.업.자.분.들이 아닐까 합니다. 경제적으로 합작하기에 여러모로 상관성이 높으며 지리적으로도 너무나 가까운 중국! 이제는 한국과 뗄래야 뗄 수 없는 존재가 되어 버렸죠?! 이러한 중국시장을 손쉽게! 활용하기 위한 < 구매대행 이용하기 꿀팁! >을 알려 드리려고 합니다. The group that needs the Chinese market more than anyone is the business man. China with geographical advantages and other economic strengths! Now I have a close relationship with Korea. 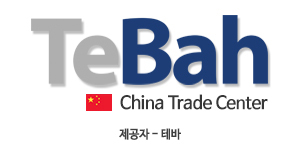 We would like to inform you of Tebah's services to make easy use of this Chinese market. Let you know what you are curious about purchasing service throughout Tebah's customers frequently ask questions. - 중국에서 도매로 물건을 수입하고 싶은데 어떻게 해야 할까요? - 타오바오, 알리바바 보고 물건을 구매해 보고 싶은데.. 결제, 배송, 검품은? 불량 발생시 교환ㆍ환불은 어떻게 해야 할까요? - I want to import goods wholesale in China. What should I do? - I want to buy things in Taobao, Alibaba. Payment, shipping, inspection? How should I exchange or refund when a defect occurs? Before you buy things, you might be worried. What about doing this? 타오바오나 알리바바에 물품가격을 보시고 '이 가격이 맞나?' 사~알짝 걱정이 되실 수 있으신데요~ 맞습니다. 이미지만 보고 제품상태를 판단할 수 없는 경우가 많으세요~ 그리고 가격이 낮을수록 품질 또한 그만큼 좋지 않은 건 사실이랍니다~ 그러니! 본격적인 주문을 넣으시기 전에 샘플링으로 소량 구입해 보고 진행 하실 수 있습니다. You are worried about product quality because the prices are cheap in Taobao or Alibaba. In many cases, it is not possible to judge the status of the product only by the image. And the price and the quality of the product are proportional to each other. So before buying a full-scale order, buy a small sample. what about currency? Yuan, Dollar, Won? Payment method? Credit, bank transfer? 안전한 방법은 알리바바 사이트에 연동된 알리페이라는 결제계좌를 두고 거래하시는 것이 좋습니다. 구매자가 물건을 받은 후 구매확정을 눌러야 구매금액이 판재마에게 넘어가기 때문입니다. 그렇지만 알리페이는 중국은행 계좌를 가지고 있어야 이용하실 수 있기 때문에 외국인들이 사용하기가 쉽지 않습니다. 그래서 중국 구매대행 업체를 통해서 진행하시면 대행결제를 해드릴 수 있답니다. 특히 자금이 오가는 부분이므로 한국에 본사를 두고있는 업체와 거래하시는 것이 여러모로 안전하실 수 있답니다! A safe method is to trade with an Alipay payment system linked to the Alibaba site. This is because the purchase amount is transferred to the seller only when the buyer clicks Confirm Purchase after receiving the item. However, it is not easy for foreigners to use Alipay because it requires a Chinese bank account. So you can use Tebah to pay for it. It is safe to pay through Tebah. You can't be trusted easily the quality of Chinese products even after you have bought samples. This is because products of Chinese companies have a high defect rate and there are many cases in which goods don't arrived as you ordered. So Tebah inspects the product. The inspector checks the quantity, color and size of the product. It is good to receive the goods after the inspection through Tebah. 만약 한국에 도착 후 불량이 발견되면 중국에 반송절차 및 교환진행이 매우 까다롭거나 불가능한 상황이 생기기 때문에 사전 대처하시는 것이 좋습니다. because it is very difficult or impossible. 처음 주문하여 입고되었을 때는, 물건금액이 고가일 경우 사진을 미리 받아보시고 1차 확인을 해보시는 것도 좋은 방법이랍니다. 물건금액이 고가인 경우 더욱 필요하신 서비스겠죠~? If the product arrives at the warehouse after the first order, please get the picture in advance. If the price of the goods is expensive, it is more necessary service ~? 이전글 (Eng)중국구매대행 주문관리&검품과정 공개 ! Check how we purchase and insperct!